Knowen - Welcome to Knowen! Knowen is a flexible framework for creation and organization of knowledge. 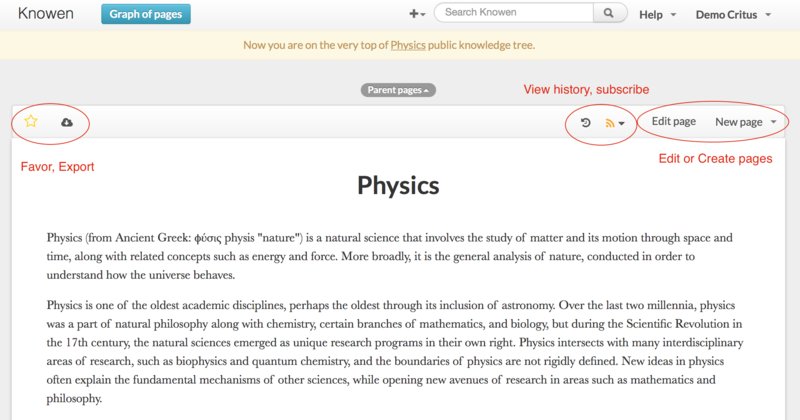 Inspired by projects like Wikipedia and Stack Exchange, Knowen takes a next step towards creating a verified and comprehensive public knowledge graph -- a hierarchically organized collection wiki pages that can be navigated from the most basic to most specific levels. 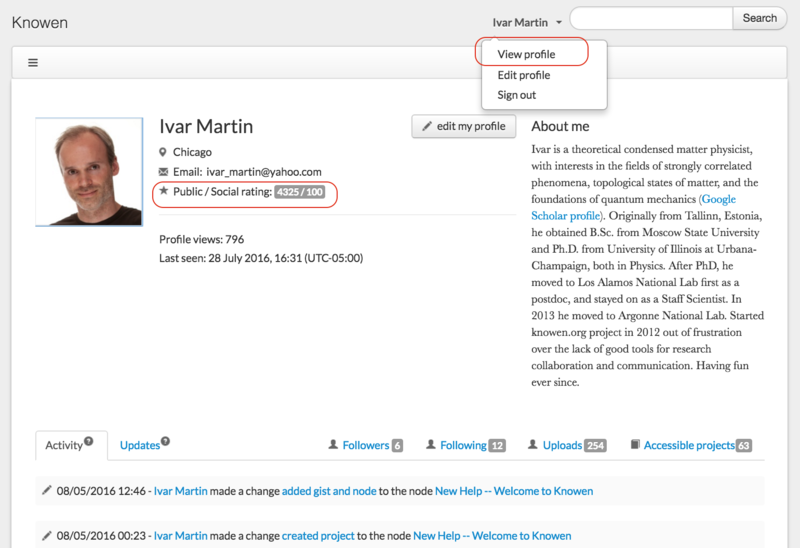 Knowen can be used as a productivity tool to create personal or group private knowledge graphs. Those can be made publicly visible by connecting them to the public knowledge graph. 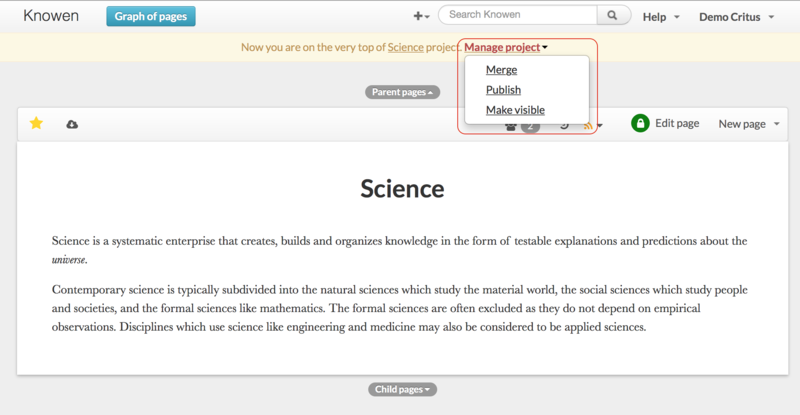 Knowen is designed with researchers in mind. Our goal is to simplify individual research, group collaboration, and sharing with colleagues and the rest of the world. 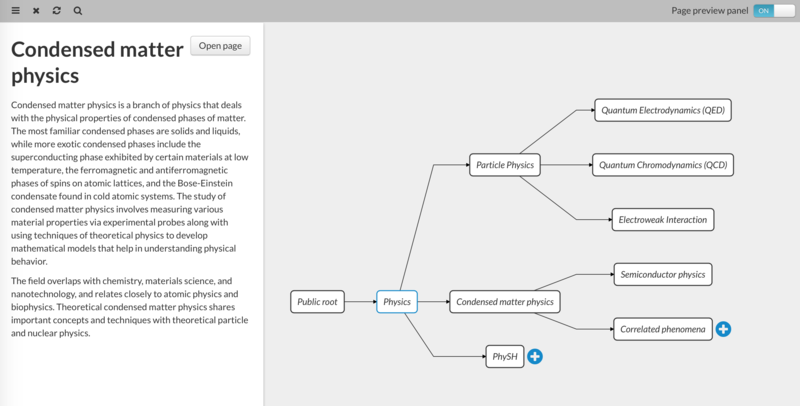 The basic element of any knowledge graph, private or public, is a page (or node). Every page has a parent page(s) (more general content), can have one or more child pages (more specific content), and can have siblings (children of the same parent(s)). 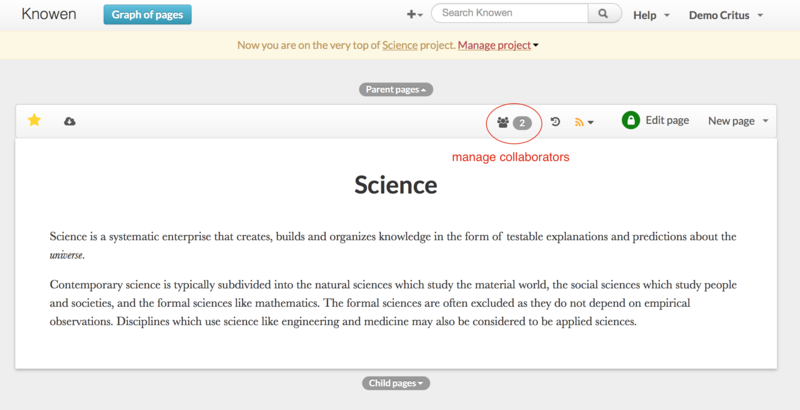 Private project is a collection of connected pages (a knowledge graph), that is only accessible to you and your collaborators. 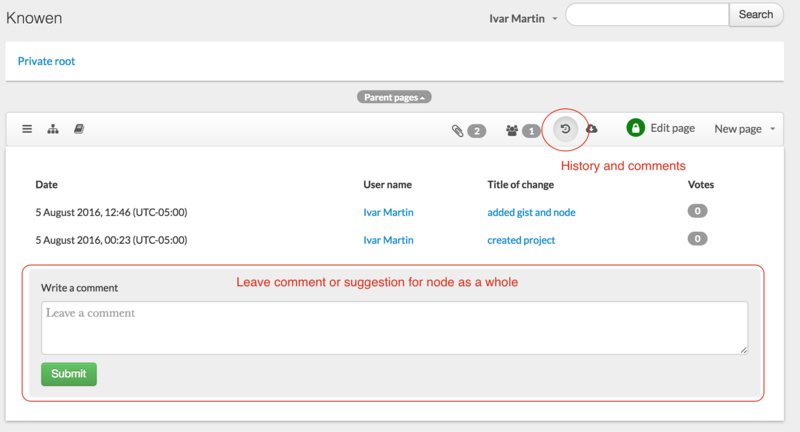 You can create a private project from Dashboard. After putting in initial content and committing the change, the top node of your new private project is created. This node will appear as a child of Private Root, and is only accessible by you. (As you've probably guessed by now, alternative way to create a private project is by simply creating a child node of Private Root). For details please refer to Commenting on pages and changes. 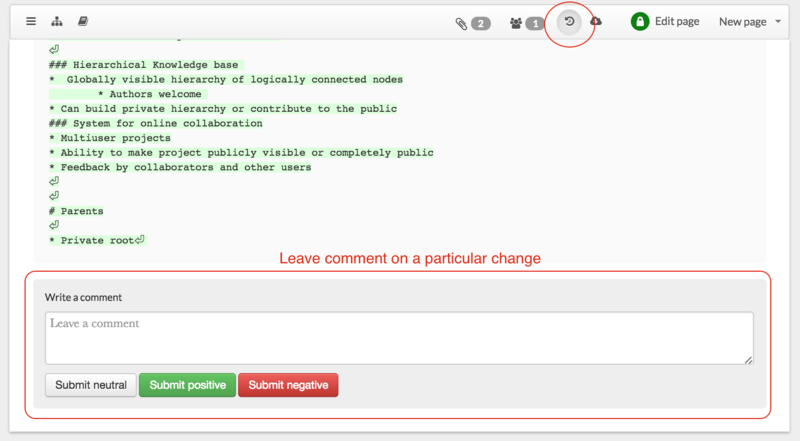 No good deed goes unpunished, and the authorship of publicly visible content, and comments to it contribute to user reputation. The current reputation system is similar to Stack Overflow, and the reputation numbers can be seen on the User Profile page. Same page contains basic information on the user activity. For more detailed intro, please explore the descendant pages of the current one! If you notice some nasty bugs or have an idea how to make Knowen better, please drop us a line at Feedback page or write us an e-mail!